If you imagine Nepal then what probably runs through your mind is a soaring backdrop of looming mountains. You may think of Mount Everest, of base camp and frosty tents pitched against the freezing squalls. Your mind may lead you to envisage hoards of intrepid explorers who bravely navigate haunting precipices and dreaded chasms in the icy floor. I do too, honestly. However, I also immediately picture one of my favourite restaurants in Tokyo – Nepalico in Komazawa-daigaku. Click on this link for their wonderfully simple official website – Nepalico website. 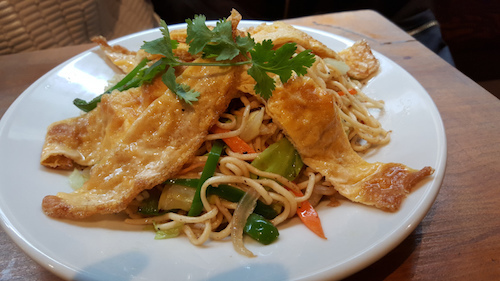 Nepalese cuisine originates from a wide and varied nation filled with different ethnicities and backgrounds. 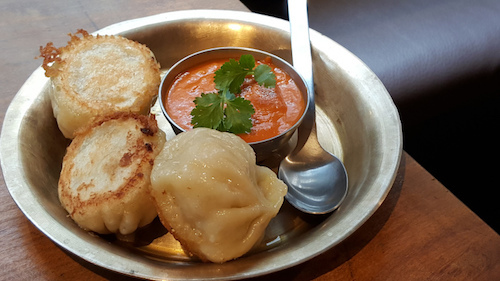 Alongside the vast array of cultures in Nepal is a similarly large number of dishes; many of which benefit from influence from India, China and Tibet. The food reminds me of Indian curries (no problems there); but tend to be less oily and can often be fresher. Nepalico gives its patrons a sumptuous hint of what Nepal has to offer. Upon entering the cosy restaurant, just 2 minutes from the subway station, you are greeted with aromatic smells from the open kitchen. You can choose to sit at a bar, conventional table or more Japanese style floor seating. Pictures of Nepalese life hang on the walls, from Everest to kindly people, and tinkling Nepalese music drifts through the air. To learn more about Nepal, visit this interesting website – Nepal. It does not suffer from Disneyfication though. Nepalico is run largely by chefs and serving staff from the country itself and none of these cultural touches seem fake. Instead, it is simply a case of people who are proud of their origins. Food-wise, Dal-bhat-tarkari (see the featured image) is eaten throughout Nepal and is on offer here in both meat or vegetarian versions. Indeed, Nepalico offers an array of vegan and vegetarian options. The dal is nourishing and filling, perfect for a cold evening or lazy Sunday afternoon. It is rich and has an earthy taste supplied by the lentils. This is accompanied, as traditionally; by a mound of white rice, curries made with chunky vegetables (the tarkari) and a dipping sauce. The rice and dal can be refilled, should you have the appetite of a mountaineer. During my numerous visits to this excellent cafe, I have also sampled momo. Similar to gyoza, these Tibetan dumplings would have traditionally been filled with buffalo meat, but I naturally chose the vegetarian option. They were flavoured with a mix of Nepalese spice superbly; but it was the clash of soft and crunchy textures that really won me over. Also worth a mention is the drinks. Everest and Nepal Ice beers are obviously on offer, as is hot tea. But, the mango or cassis lassi are the clear favourites amongst my friends and myself. Yoghurt is popular throughout Nepal and is historically used in lassi drinks. These sweet and creamy concoctions will leave you refreshed and nourished. It is fair to say that experiencing the tastes and culinary experiences of a nation really open up a window onto its history and culture. Indeed, a friend of mine hiked through many of the Nepalese peaks before visiting Tokyo, Nepalico and me. His take was that this restaurant provides a really authentic foody experience. So, with a culture so unique and interesting, surely this is a window worth looking through?